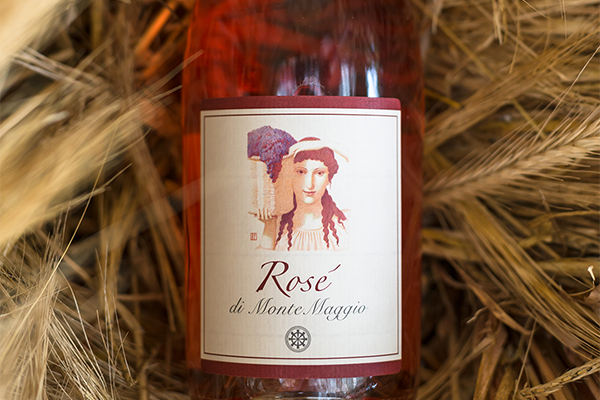 Rosé di Montemaggio IGT is an organic Tuscan wine with a vivid rose colour, and a fruity bouquet. It is made from 100% Sangiovese grapes and it has a full and refreshing taste. It is the result of the transient encounter with the must of the Sangiovese grapes’ skin. The short hours spent together give to this wine its vivid rose colour and a morbid character with a bit of acidity, freshness and lightness. Growing system: Predominantly Spurred Cordon. Palate: Dry, fresh, light, refreshing and balanced. Ideal serving temperature: 8°- 10° C.
Matching: Excellent as an aperitif, with fish or for a light lunch. Very enjoyable in summer. An ideal companion to various fried, fatty or rich dishes. 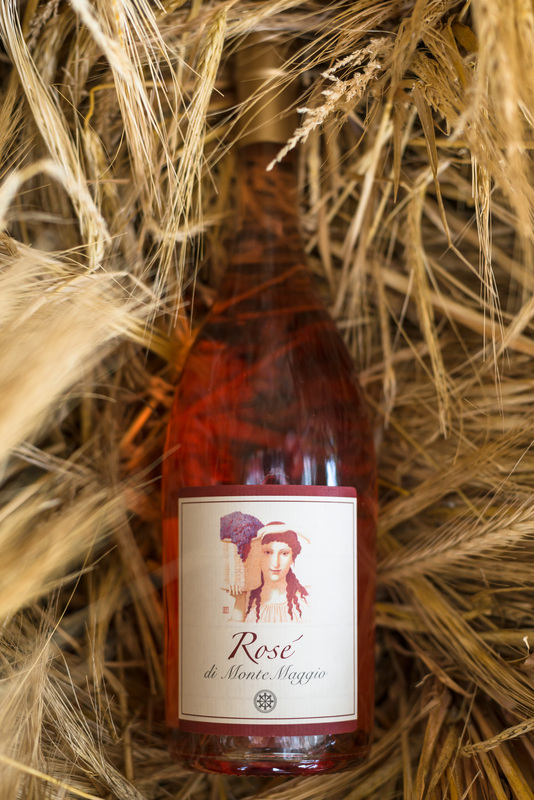 Rosè di Montemaggio is mainly produced with grapes picked from an early harvest from the cooler areas of the Sangiovese vineyards, for the purpose of obtaining good acidity, a lower alcoholic gradation and therefore obtaining freshness and lightness in the wine. The skins are left in contact with the liquid for only one night until achieving the desired coloration and the necessary complexity. Subsequently the skins are separated and the fermentation takes place at low temperatures in stainless steel vats for about 10 days. The wine is bottled following about 8 months of refinement and released into the market after at least one year. 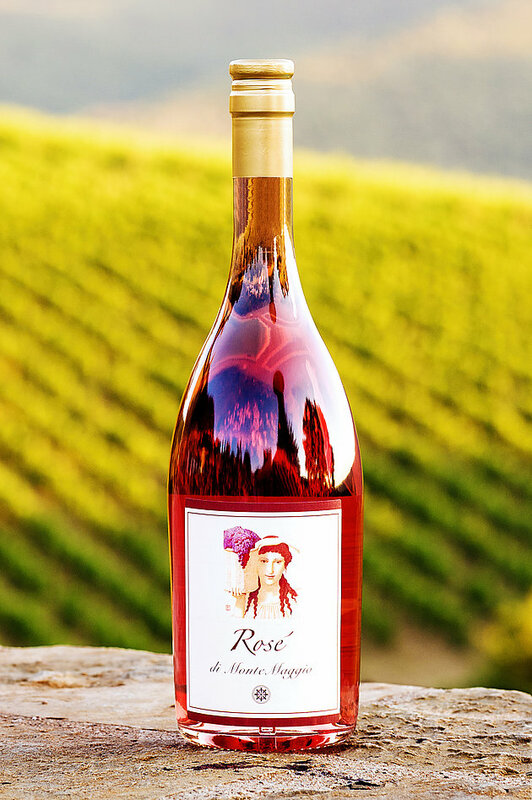 The bottle of this rose wine has a glass pink cork to preserve the quality and the authentic taste of this wine.